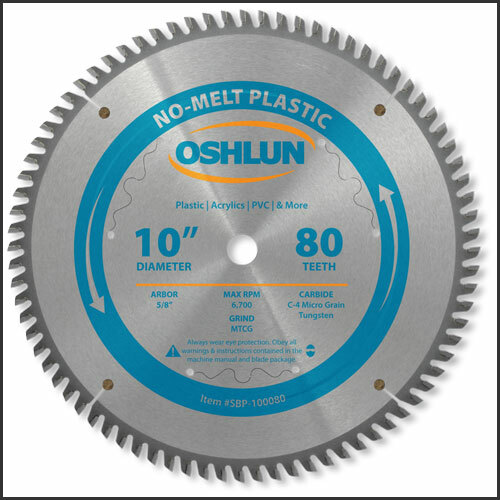 Our no-melt plastic blade was designed to leave smooth, clean cuts in acrylics, PVC, and other plastics. It also produces smooth cuts in laminates. The special modified triple chip grind and side clearance angles work together to leave a premium quality cut without melting or chipping. This blade produces less heat keeping the cut edge crisp with significantly reduced chip-welding potential. Other features include a heavy duty plate, anti-vibration slots, and copper plugged expansion slots for less noise and vibration.